Ever have one of those nights you just want a pizza? Yeah, I get those often, but most of the time, I resist the urge to pick up the phone and take the easy way out. If I gave in every time I wanted a pizza, I’d be much fatter than I already am. 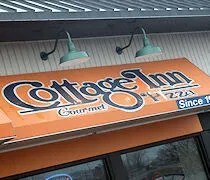 I do give in every now and then though and when I do give in, and I just want something quick from a delivery place, I go straight to Cottage Inn. Cottage Inn became our go-to place when we lived in Lansing. I’m know I’ve explained this before, but the first couple times we ordered from Cottage Inn, we didn’t really like it. That’s because, we didn’t realize they had thin crust. Once J stumbled on the thin crust by accident, we went back time and time again. When we lived off of Kilgore, we always used the Portage Road location. 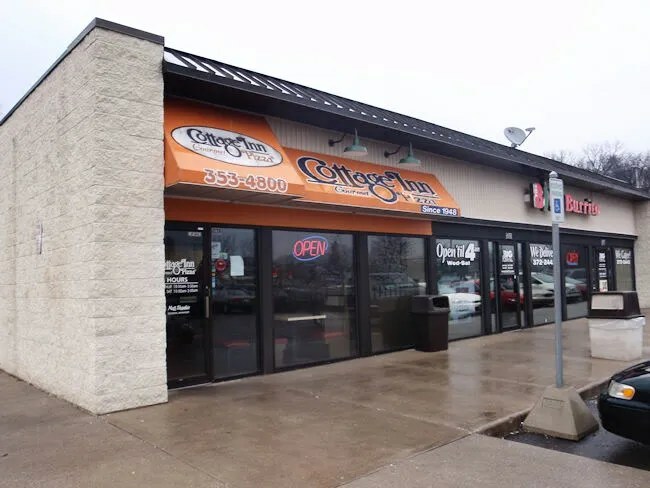 Now that we live on the west side of town, the closest Cottage Inn location is on KL Avenue in a shopping center on the corner of KL and Drake Road in Oshtemo Township. The store takes up the corner of the shopping center that also has the Big Burrito and 7-Eleven. Usually, I just order online, but I had a heckuva time trying to do that. My mistake is that I went to cottageinn.com instead of cottageinnkalamazoo.com No matter what I did, I couldn’t get the website to find the Cottage Inn’s in Kalamazoo. After getting frustrated with trying to use an online ordering system that couldn’t find the right store, J just grabbed a phone and called the order in. I guess I could have done that too, but I prefer not to talk to people. The cool thing about this location, which I didn’t know before I walked in, is that they actually have some seating. I’ve never been in a Cottage Inn where you could actually eat in if you wanted to. I’m pretty sure the Gull Road location has this feature as well. 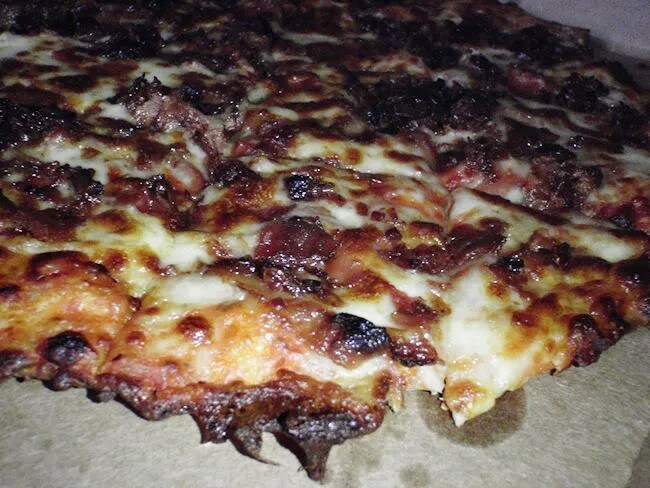 The pizza is exactly what we expect from Cottage Inn. To our surprise, both pizzas were really well done. We normally ask for the pizza to be cooked like that, but J didn’t ask this time. They must have our order information in a computer somewhere because the pizza came out perfect. 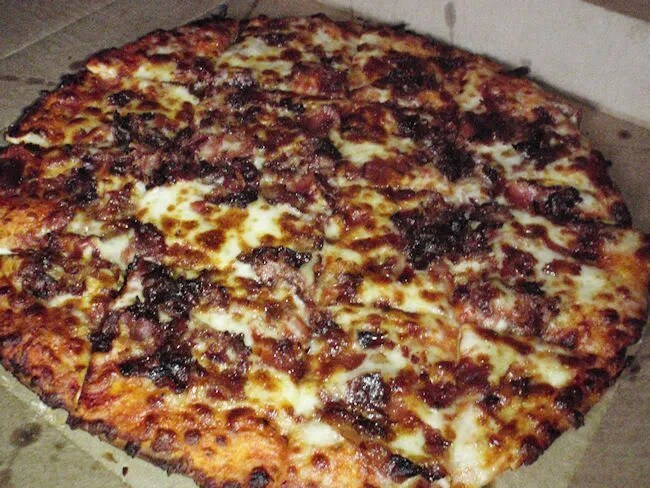 The crust was crunchy as was the tremendous amount of bacon that was on my pizza. Between the two of us, we only ate about one full pizza, but the leftovers didn’t go to waste. I had dinner the next night as well and is there anything better than cold pizza….well, maybe cold chicken….nah, cold pizza is definitely better.